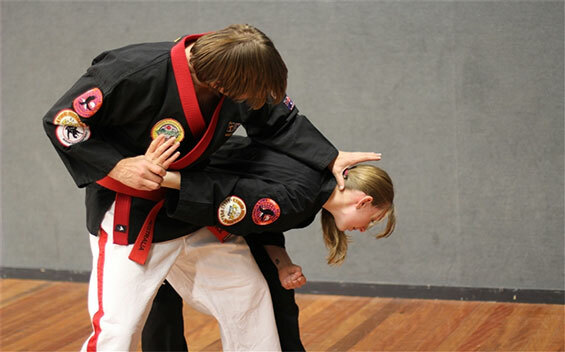 Kyusho Jitsu is the method of striking the body by targeting its anatomically weaker areas. This method involves the study of the body’s anatomical structure and its underlying pressure points and the meridians they lay upon. It utilises the same points that an acupuncturist would use to balance the energies of the body. 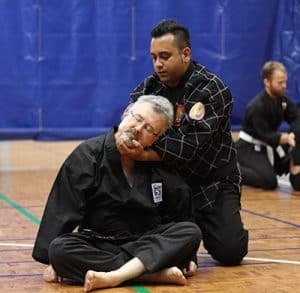 The IMPACT Kyusho Jitsu Program is one of our popular extension programs for senior belts. It is run in tandem to regular Extreme or Challenge Programs. 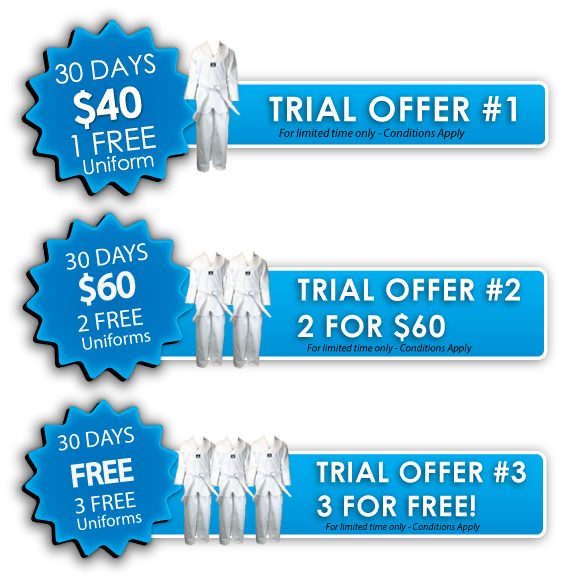 The Kyusho Jitsu Program has its own syllabus, uniform and belts, and runs on separate days and times to other classes. This program is for members who want to progress as Martial Artists, learn more advanced Martial Arts knowledge or simply try something new. 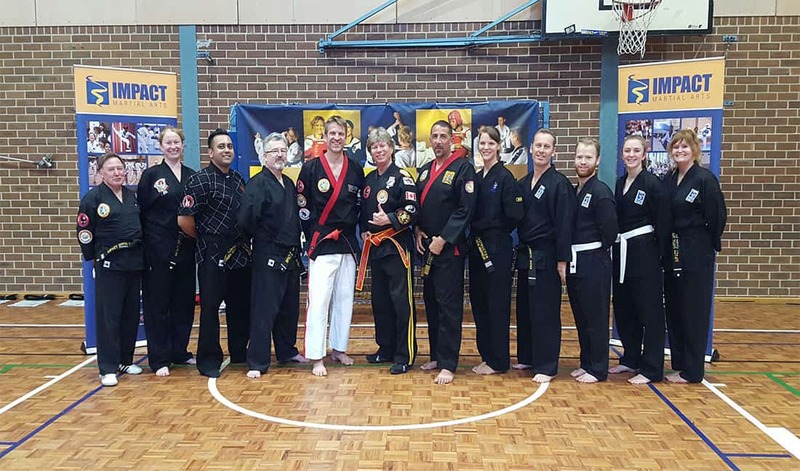 We are affiliated with the national body for Kyusho Jitsu, Kyusho Jitsu Australia, and the peak international bodies, Kyusho Jitsu International Alliance (KIA) and Dillman Karate International (DKI). At the completion of this program, you will receive an internationally recognised Kyusho Jitsu Black Belt. The logo symbolises the two universal forces of yin and yang that underpin all Martial Arts. 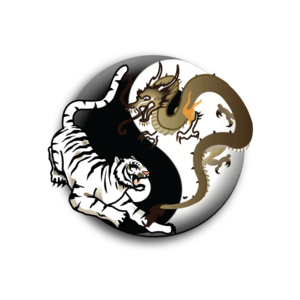 The tiger and dragon represent the opposing forces, the ‘hard’ and ‘soft’ of combat. This includes mind and body, agility and power, attack and defense. 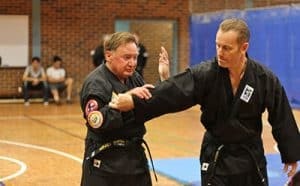 The Kyusho Jitsu Program starts from White Belt, so you do not need any prior knowledge – we will teach you all you need to know. The program will consist of students of varied Taekwondo ranks and there will be other students of your level. The Kyusho Jitsu Program is not just about how you train but also about how you approach your training. It is where IMPACT’s key belief of “try your hardest to be your best” really shows. A positive attitude and willingness to train hard are key indicators that you are ready for the Kyusho Jitsu Program. As its own martial art, Kyusho has a different uniform and belt ranking system. The uniforms are black and have the badges of the affiliated international bodies.